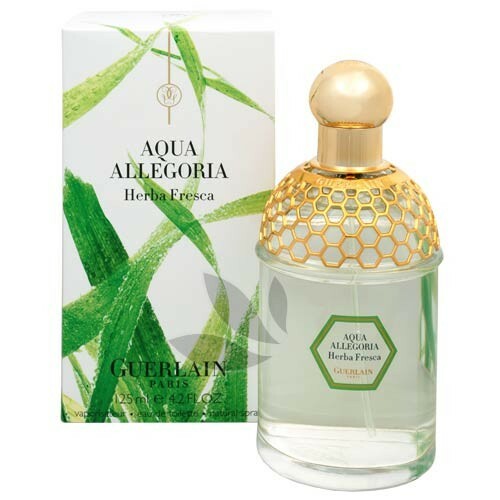 Aqua Allegoria Herba Fresca by Guerlain 2.5 oz / 75 ml Eau De Toilette spray without box for women. Aqua Allegoria Herba Fresca smells of green plants after a storm, morning walk barefoot on a dewy grass, a smell of unforgettable summer. The fresh odor of grass lifts up from the ground and mixes with the whiff of mint, trees and wild flowers. Notify me when "Aqua Allegoria Herba Fresca by Guerlain 2.5 oz EDT UNBOX" is re-stocked.